Yeah, it looks like a Mustang, but look closer. It’s a 1984 Mercury Capri, a car I nearly forgot existed until running across this one over the weekend at the Labor Day car show in Tonawanda’s Niawanda Park. The Mustang clearly outsold the Capri (141,580 to 20,642), but it gave people one more reason to visit a Lincoln-Mercury dealership. 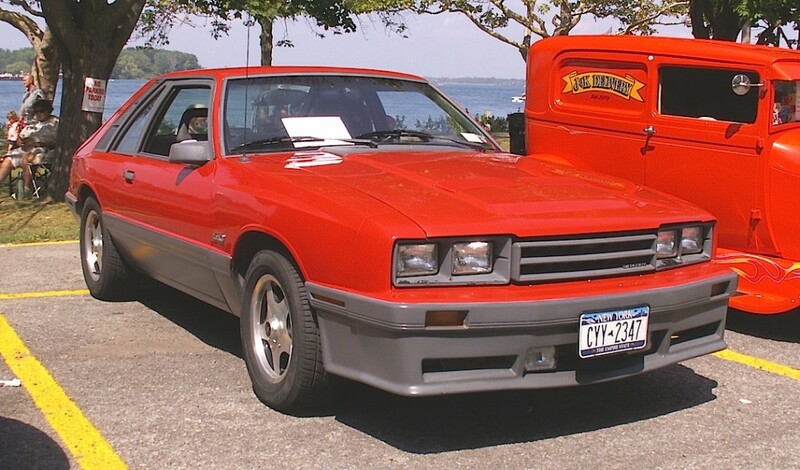 The Capri had different trim, grille, and taillight treatments, but used the same body shell and powertrains, so choosing between the two was a matter of taste, brand loyalty, or price; and seeing that the Capris were slow-movers saleswise, I’d guess they were well-discounted — especially when the end (the ’86 models were the last) was in sight. Jim Corbran, RRofWNY …and check out our Facebook page: Un-American Classic Cars KONICA MINOLTA DIGITAL CAMERA The post RealRides of WNY appeared first on Buffalo Cars.